July 2015 New Mystery Releases! Hard to believe that the second half of a Sonoran Desert summer is already underway. We're special here. We get two summers. One with dry, blast furnace heat. The second (which just started a very few days ago) not so dry humidity-wise, with dust storms (AKA haboobs), and... hopefully... some rain. I've been out in the pool, reading as fast as I can go, stopping only for the necessities. But you know me. I may be out in the pool in the afternoons turning pages lickety-split, but I'm going to find some time to keep an eye on new crime fiction that I'm going to want to read! The following are my picks for new books being released during the month of July. They're grouped by release date, and you'll find all the information you'll need to find them at all your favorite "book procurement locations." Synopses are courtesy of Amazon. 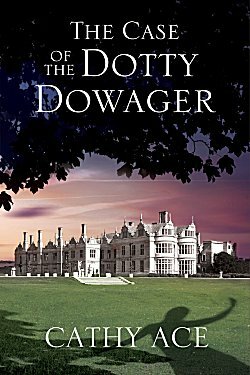 Synopsis: "Henry Twyst, eighteenth Duke of Chellingworth, is convinced his mother is losing her marbles. She claims to have seen a corpse on the dining-room floor, but all she has to prove it is a bloodied bobble hat. Worried enough to retain the women of the WISE Enquiries Agency – one is Welsh, one Irish, one Scottish and one English – Henry wants the strange matter explained away. But the truth of what happened at the Chellingworth Estate, set in the rolling Welsh countryside near the quaint village of Anwen by Wye, is more complex, dangerous, and deadly, than anyone could have foreseen . 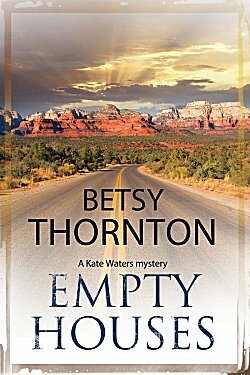 . ."
Synopsis: "Dudley, Arizona is an isolated desert town attracting people who need to escape. Kate Waters flees there following an abusive relationship. Phoenix cop Malcolm MacGregor comes to recover from the death of his wife. No one knows why Carrie and Wes Cooper arrived. But when they are shot dead, the town authorities’ first instinct is to protect the lucrative tourist trade and make a quick arrest – without asking too many questions. Having once spoken to Carrie briefly, Kate becomes increasingly convinced that the wrong man has been arrested for the crime. Was the shooting random, or is there something in the victims’ history back east that would explain it? 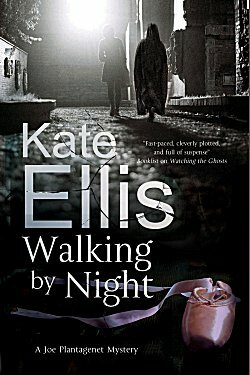 Teaming up with Malcolm MacGregor, Kate is about to uncover disturbing links between her own and Carrie’s past. Is Kate herself at risk?" Synopsis: "Taking a short cut home beneath the ruined abbey in the centre of the city, a teenage girl reports stumbling across a body. She also claims to have seen a mysterious nun-like figure watching her from the shadows. But during the subsequent search, no body is found. The girl’s inebriated state and her troubled history make the police sceptical of her story, and only Detective Inspector Joe Plantagenet is inclined to believe her. Then a woman is reported missing, and Joe finds himself caught up in a complex investigation involving a production of The Devils at the local Playhouse. Could the play, with its shocking religious and sexual violence, have something to do with the woman’s disappearance? 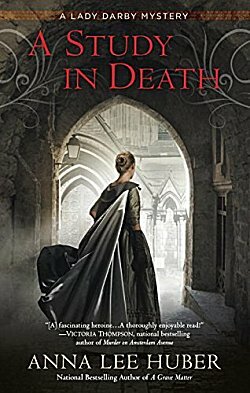 And is there really a connection with the tragic death of a young nun at the site many centuries before? Nothing is as it first appears." 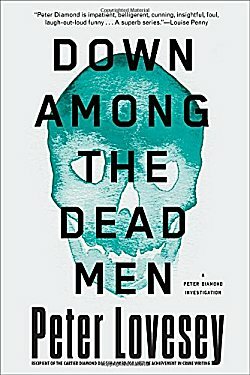 Synopsis: "The award-winning crime writer Ken Bruen, called 'the best-kept literary secret in Ireland' by the Independent, is as joyously unapologetic in his writing as he is wickedly poetic, mixing high and low with hypnotic mastery. In the previous book in the series, Purgatory, ex-cop Jack Taylor had finally turned his life around, only to be taunted back into fighting Galway’s corruption by a twisted serial killer named C33. In the new novel Green Hell, Bruen’s dark angel of a protagonist has again hit rock bottom: one of his best friends is dead, the other has stopped speaking to him; he has given up battling his addiction to alcohol and pills; and his firing from the Irish national police, the Guards, is ancient history. But Jack isn’t about to embark on a self-improvement plan. Instead, he has taken up a vigilante case against a respected professor of literature at the University of Galway who has a violent habit his friends in high places are only too happy to ignore. And when Jack rescues a preppy American student on a Rhodes Scholarship from a couple of kid thugs, he also unexpectedly gains a new sidekick, who abandons his thesis on Beckett to write a biography of Galway’s most magnetic rogue. Between pub crawls and violent outbursts, Jack’s vengeful plot against the professor soon spirals toward chaos. Enter Emerald, an edgy young Goth who could either be the answer to Jack’s problems, or the last ripped stitch in his undoing. Ireland may be known as a 'green Eden,' but in Jack Taylor’s world, the national color has a decidedly lethal sheen." Synopsis: "In a Sussex town on the south coast of England, a widely disliked art teacher at a posh private girls’ school disappears without explanation. None of her students miss her boring lessons, especially since her replacement is a devilishly hunky male teacher with a fancy car. But then her name shows up on a police missing persons list. What happened to Miss Gibbon, and why does no one seem to care? case—a bad breach of ethics. Diamond is less than thrilled to be heading out on a road trip with his boss to investigate a fellow officer, but he becomes much more interested in the case when he realizes who the suspended officer is—an old friend, and not a person he knows to make mistakes. As Diamond asks questions, he begins to notice unsettling connections between the cold case and the missing art teacher. Could the two mysteries be connected? How many other area disappearances have gone unnoticed and uninvestigated? Diamond and his hapless supervisor have stumbled into a web of related crimes. Will Diamond be able to disentangle them?" Synopsis: "In the most thrilling entry yet in Brad Parks's award-winning series, investigative reporter Carter Ross must chose who gets to live: him or his unborn child. A rash of carjackings terrorizing Newark become newsworthy when one such theft ends in the murder of a wealthy banking executive. The affable, wisecracking Ross is assigned the story, but he's weary of only writing about victims of crime who happen to be rich and white. To balance his reporting, he finds a Nigerian immigrant of more modest means who was also killed during a recent carjacking. When it turns out the two victims knew each other, sharing an unexplained round of golf at a tony country club shortly before their deaths, Carter is plunged onto the trail of a deadly band of car thieves that includes a sociopathic ex-convict. 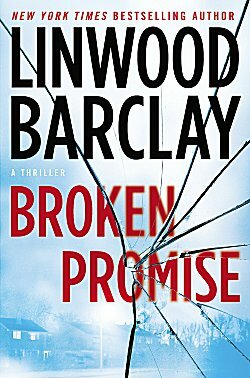 When his unborn child is put in harm's way, it becomes more than just a story for Carter. And he'll stop at nothing to rescue the baby-even if it costs him his own life. 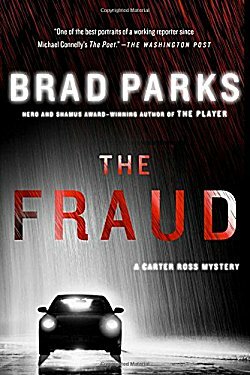 Parks, a rising star on the crime fiction scene known for his mix of wit and grit, delivers his most emotionally resonant book yet." Synopsis: "Scotland, 1831. After a tumultuous courtship complicated by three deadly inquiries, Lady Kiera Darby is thrilled to have found both an investigative partner and a fiancé in Sebastian Gage. But with her well-meaning—and very pregnant—sister planning on making their wedding the event of the season, Kiera could use a respite from the impending madness. 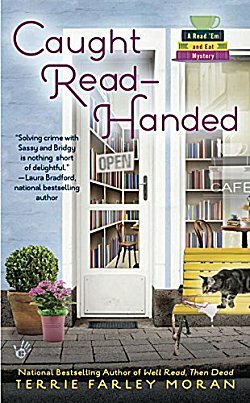 Now, armed only with her knowledge of the macabre and her convictions, Kiera intends to discover the truth behind the baroness’s death—no matter what, or who, stands in her way…"
Synopsis: "From the national bestselling author of Well Read, Then Dead comes the second mystery featuring Sassy Cabot and Bridgy Mayfield, who bring Fort Myers Beach, Florida, residents plenty of sinful treats and killer reads at their bookstore café, Read ’Em and Eat. Happy to help her fellow bibliophiles, Sassy visits the local library with book donations for their annual fundraising sale. Unfortunately, the welcoming readers’ haven is in turmoil as an argument erupts between an ornery patron and new staff member, Tanya Lipscombe—also known as “Tanya Trouble.” She may lack people skills, but everyone is shocked when she’s later found murdered in her own hot tub. The man last seen arguing with Tanya is soon arrested. 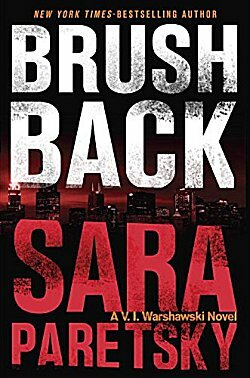 But Alan Mersky, a veteran with PTSD, happens to be the brother of Sassy’s former boss—and he’s no murderer. Now it’s up to Sassy and Bridgy to clear Alan’s name and make sure the real killer gets booked. Includes a recipe for Miss Marple scones!" Synopsis: "It’s early September in Glenkillen, Scotland, when American expat (and budding romance novelist) Eden Elliott is recruited by the local inspector to act as a special constable. Fortunately it’s in name only, since not much happens in Glenkillen. For now Eden has her hands full with other things: preparing for the sheepdog trial on the MacBride farm—a fundraiser for the local hospice—and helping her friend Vicki with her first yarn club skein-of-the-month deliveries. Everything seems to be coming together—until the head of the welcoming committee is found strangled to death with a club member’s yarn. 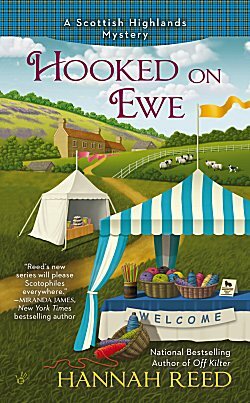 Now Eden feels compelled to honor her commitment as constable and herd together the clues, figure out which ones are dogs, and which ones will lead to a ruthless killer . 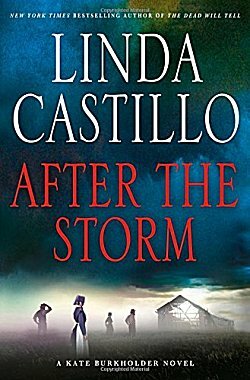 . ."
Synopsis: "When a tornado tears through Painters Mill and unearths human remains, Chief of Police Kate Burkholder finds herself tasked with the responsibility of identifying the bones--and notifying the family. Evidence quickly emerges that the death was no accident and Kate finds herself plunged into a thirty year old case that takes her deep into the Amish community to which she once belonged. Meanwhile, turmoil of an emotional and personal nature strikes at the very heart of Kate's budding relationship with state agent John Tomasetti. A reality that strains their fragile new love to the breaking point and threatens the refuge they've built for themselves--and their future. Under siege from an unknown assailant--and her own personal demons--Kate digs deep into the case only to discover proof of an unimaginable atrocity, a plethora of family secrets and the lengths to which people will go to protect their own." 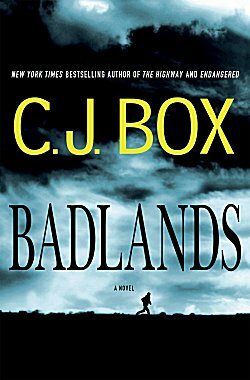 Synopsis: "Twenty miles across the North Dakota border, where the scenery goes from rolling grass prairie to pipeline fields, detective Cassie Dewell has been assigned as the new deputy sheriff of Grimstad-a place people used to be from, but were never headed to. Grimstad is now the oil capital of North Dakota. With oil comes money, with money comes drugs, and with drugs come the dirtiest criminals hustling to corner the market. In the small town resides twelve-year-old Kyle Westergaard. Even though Kyle has been written off as the "slow" kid, he has dreams deeper than anyone can imagine. He wants to get out of town, take care of his mother, and give them a better life. While delivering newspapers, he witnesses a car accident and takes a mysterious bundle from the scene. Now in possession of a lot of money and packets of white powder, Kyle wonders if his luck has changed. When the temperature drops to 30 below and a gang war heats up, Cassie realizes that she may be in over her head. As she is propelled on a collision course with a murderous enemy, she finds that the key to it all might come in the most unlikely form: an undersized boy on a bike who keeps showing up where he doesn't belong. Because a boy like Kyle is invisible. But he sees everything." Synopsis: "No one would accuse V. I. Warshawski of backing down from a fight, but there are a few she’d be happy to avoid. High on that list is tangling with Chicago political bosses. Yet that’s precisely what she ends up doing when she responds to Frank Guzzo’s plea for help. For six stormy weeks back in high school, V.I. thought she was in love with Frank. He broke up with her, she went off to college, he started driving trucks for Bagby Haulage. She forgot about him until the day his mother was convicted of bludgeoning his kid sister, Annie, to death. Stella Guzzo was an angry, uncooperative prisoner and did a full twenty-five years for her daughter’s murder. Newly released from prison, Stella is looking for exoneration, so Frank asks V.I. for help. V.I. doesn’t want to get involved. Stella hated the Warshawskis, in particular V.I.’s adored mother, Gabriella. But life has been hard on Frank and on V.I.’s other childhood friends, still stuck on the hardscrabble streets around the dead steel mills, and V.I. agrees to ask a few questions. Those questions lead her straight into the vipers’ nest of Illinois politics she’s wanted to avoid. When V.I. takes a beating at a youth meeting in her old hood, her main question becomes whether she will live long enough to find answers. " Synopsis: "After his wife’s death and the collapse of his newspaper, David Harwood has no choice but to uproot his nine-year-old son and move back into his childhood home in Promise Falls, New York. David believes his life is in free fall, and he can’t find a way to stop his descent. Then he comes across a family secret of epic proportions. A year after a devastating miscarriage, David’s cousin Marla has continued to struggle. But when David’s mother asks him to check on her, he’s horrified to discover that she’s been secretly raising a child who is not her own—a baby she claims was a gift from an “angel” left on her porch. When the baby’s real mother is found murdered, David can’t help wanting to piece together what happened—even if it means proving his own cousin’s guilt. But as he uncovers each piece of evidence, David realizes that Marla’s mysterious child is just the tip of the iceberg. Other strange things are happening. Animals are found ritually slaughtered. An ominous abandoned Ferris wheel seems to stand as a warning that something dark has infected Promise Falls. And someone has decided that the entire town must pay for the sins of its past…in blood." 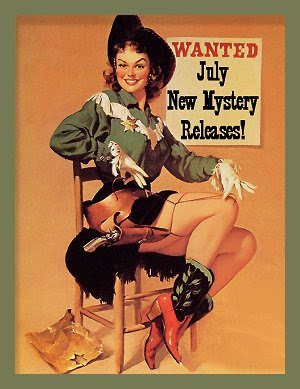 There's some mighty fine reading coming up during the month of July, isn't there? I'd be hard-pressed to figure out where to start first! What about you? Did you find any books in this list that tickled your fancy? Which ones? You know that inquiring minds want to know! Uh, oh, a new Paretsky and Barclay, not to mention others. I'll be good and wait for the library which does stock these two authors, even if it means a wait. I am patient and I have about 5 books waiting for me to pick up and I'm in the middle of a good book by English writer, Eva Dolan, a newly found gem. But I'm in trouble. I hope no one expects bills to be paid or work to be done by me for this summer as I have books to read, iced tea to drink and frozen yogurt to eat. By the way, a lot of these covers are very well-done. Yes, they are. Unfortunate that Barclay's has that broken glass thing going on.